An EMP attack is the most deadly doomsday proposition we could ever face. 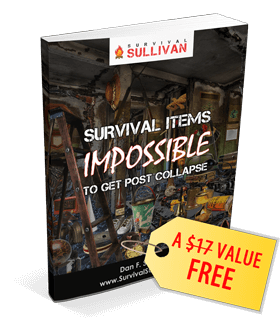 Few outside of the prepper community are even pondering such an end of the work event – and far fewer still are preparing to survive such a SHTF and the copious amount of domino mega disaster effects it would create. An electromagnetic pulse (EMP) is defined as a brief surge of electromagnetic energy and it can be the result of either man-made or natural disturbances. Electronics can be affected and in some cases an EMP can result in physical destruction of things such as structures and vehicles. After a nuclear explosion, the EMP will radiate abruptly, and is likely to cause unspeakable damage to electrical systems as unnaturally high voltage surges through valves and transistors. Let’s break down that very technical and scientific definition of an EMP into practical terms, shall we? The SHTF will epically hit fan in biblical proportion and could forever change life as we know it on planet Earth. And….it could happen any minute now. 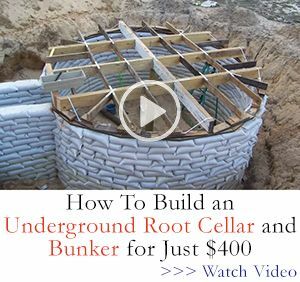 That, my fellow preppers, is the deep and dirty mega secrete neither the mainstream media nor government officials are paying enough attention to or want us to know. If you grew up watching the Little House on the Prairie and Grizzly Adams like I did and ever wondered what it would be like to live an 1800s style existance, you just might get your chance to find out. If (I really should agree with former DHS Secretary Janet Napolitano and say, “when”) an EMP happens, expect a scene like this to begin playing out in your neighborhood. An EMP is a short, but very strong burst, of electromagnetic energy caused by a rapid and intense increase in charged particles in the ionosphere. The acceleration of particles can occur as the result of a solar storm, a nuclear bomb, dirty bomb or an a small scale, even due to a simple, yet strong, bolt of lightning. We are all familiar with the government’s hurricane and tornado classification. The same type of scale also exists for electromagnetic pulses. E1 – This classification of an EMp is the most brief. An E1 typically lasts for hardly even a microsecond, but is still regarded as being substantially powerful and highly destructive. An E1 EMP would occur after the detonation of a nuclear bomb. E2 – This classification of an electromagnetic pulse lasts at least a little bit longer than an E1 and could be caused by a man-made dirty bomb depending upon its capacity, or a nuclear explosion. During a nuclear blast, what would most likely occur is an E1 level EMP would happen followed by an E2 class event. Our power grid might be capable of withstanding an E2 event if it is really as hardened as the government claims, but there is currently no known way to harden the electrical grid (or anything else, for that matter) against an E1 class EMP event. E3 – An E3 EMP event is less powerful than either an E1 or an E2. It can last for hours to days, depending upon the originating incident. This is the type of EMP disturbance that commonly occurs due to solar flares during the summer months. When the most recent and only recorded EMP provoking solar flare happened in 1859, it was dubbed the Carrington Event. Richard Carrington, an astronomer, watched the EMP unleash its power through his telescope lens and documented the event. A monstrous power outage resulted, leaving more than six million people in the dark from Canada through New York to New Jersey. At the time, NASA experts proclaimed the solar flare possessed approximately one-third of the power that the Carrington Event carried. Telegraph lines, the most sophisticated type of technological equipment of that era, not only snapped and caught fire, even the papers and desks of operators also burst into flames. An EMP strike is actually more likely to occur than a nuclear bomb or a war because of money and power. Why spend billions on war, manufacturing weapons, training and dispatching soldiers, when you can discharge an EMP attack, wait a few months, and then survey the inevitable damage? By simply launching a few SCUD missiles (a storable-propellant, single-stage ballistic first developed by the Soviets) from a ship anchored off the coast, you could unleash a silent, quick, and clean attack on an enemy, without so much as a single bullet. Human nature and the force of evolution will take care of the rest, as populations become defenseless, weak, and increasingly desperate. North Korea claims to have the ability to launch such an attack right now.The bottom line is that an EMP assault is cheaper and less messy for our enemies than anything else. Following an EMP attack, financial and communication systems would fail. Transportation systems would derail. 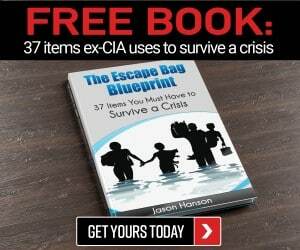 The unprepared portion of the population, all 325.7 million of them that are not preppers or already living off grid or on a sustainable homestead, will not be able to cope with the basic needs of daily survival. An EMP attack results when the enemy launches a nuclear bomb – from land or sea – into the Earth’s atmosphere, rocketing to a height of more than 25 miles. The detonation causes gamma rays to interact with air molecules, producing positive ions while recoiling electrons in Earth’s atmosphere. The positive ions take over the electrons and a gigantic pulse bursts out towards the Earth below. Simply put, an atomic reaction takes place and the electromagnetic pulse that is created scorches all the electrical devices within a vast radius, including batteries. The effects of a solar (geomagnetic) storm are often attributed to that of an electromagnetic pulse. While an intense solar storm could potentially damage huge segments of the country’s power grid, it will impact ground level sensitive electronic equipment that isn’t even plugged in. While the effects of a solar storm do match the scientific definition of an EMP, the response it triggers is much slower than the expected speed of a ‘pulse’. It is untrue that an EMP has limited range because it follows the inverse square law. This law is, in fact, irrelevant for most nuclear EMP occurrences. This is because, while the detonation of the nuclear weapon may be occur at a great distance, the E1 EMP is produced within the atmosphere, 12 to 24 miles directly above, in the stratosphere region, referred to as the source region by scientists. A Coronal Mass Ejection (CME) is a huge burst of gas released from the Sun.This is the organic, natural form of an EMP and it brings the might power to fry electronics along with it. It targets the power grid, blasts power plants, and sends surges of electrical current along the lines, damaging household appliances and simple electronics that are plugged in along with all sensitive high-tech devices. A CME lasts only a few hours, but if the Sun emits many of these in several directions, there’s more chance one could collide with the Earth. A CME will have global consequences, disrupting radio transmissions, blasting satellites, and endangering people travelling in airplanes and spacecraft at high altitudes. The power grid would only be temporarily disrupted by a solar storm, these types of occurrences happen with fair frequency during the hot months of summer – when you see your television experiencing heavy static and have patchy cell or internet service, a solar storm is likely the root cause. However, geometric currents, triggered by a solar storm, could eradicate much of the biggest transformers worldwide and recovery could stretch over decades. It’s only a matter of time before nature unleashes a solar storm. And next time, it could be a big one. Solar flares run in cycles with most scientists in agreement that an X Class Earth directed solar flare occurs about every 100 years. It has been longer than a century since the Carrington Event of 1859 – so we are long overdue for what we, as a society, are ill-prepared and ill-equipped, to survive without a traumatic death toll. Because we rely so much on modern conveniences, the sudden deprivation will mean the general populace will be thrown into a state of panic that will rapidly lead to violent civil unrest and the breakdown of society. What Other EMP Effects Can We Expect? While an EMP doesn’t harm the human body, (with the possible exception of people with pacemakers) one strategic strike launched over Kansas could cripple electrical operations in the United States. Basically, all telecommunications would fail and the country will be plunged into a 19th-century-era darkness with nationwide blackouts, because the power grid will go down immediately after the EMP hits. The intensity of the high voltage spikes produced by an E1 surge is based on several factors including location relative to the EMP surge, amount of shielding, as well as object size and energy status at the time. The E2 surge is like lightning, but weaker and relatively harmless. Electronic devices already damaged by an E1 are more vulnerable to an E2. The E3 is similar to a geomagnetic storm, lasting several minutes. Unconnected electronics won’t be damaged. Its primary threat is to the power grid, especially the larger transformers. Phone, cable TVs and electric lines are the most hazardous when an EMP strikes. External antennas and computer cables are next in line. Smaller electronic devices would be mildly affected and would probably stay intact. A cell phone or wristwatch may be immune to a spike, but only EMP-resistant signal towers will stay online. Planes will literally be falling from the sky after an EMP. Their highly sensitive computer components will fail and the approximately 7,000 planes flying above our heads across the country at any given moment, will crash and burn – and no one will be there to put out the flames. 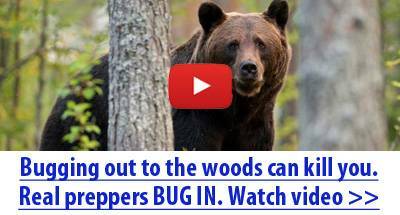 The spreading of fires from plane crashes as well as from survivors attempting to stay warm, boil water, and prepare food, will causes an insurmountable amount of damage to homes, businesses, crops, wildlife that will need to be hunted for food, etc. Shock, disbelief, and then panic will be the first emotions and reactions the general populace (and let’s face it, many areas of our government will be going through the same set of emotions as well) will feel. Once the full impact of the doomsday disaster beings to register, things will get even worse once folks know the lights are not going to come back on for at least months, but more than likely years…if at all. With no functioning ATMS, cash will go fast and essentially be deemed worthless overnight. A can of peaches or a bottle of water will become far more valuable than a $100 bill to survivors. When the SHTF, looting will occur quickly and bartering will replace cash transactions. Security systems will fail, leaving you and your home vulnerable to intruders because you cannot call 911 for help. You’ll need alternative methods to prepare and refrigerate or otherwise store food. Start canning, stockpiling, and preserving food before it’s too late. There are indirect and direct EMP effects. Direct, physical effects include damaged electrical systems. Indirect effects can be more severe and cause widespread chaos. And, the worst part is, it only takes a fraction of a second to fry all electronics. The indirect effects of a doomsday disaster, like an EMP, are referred to as “domino effects.” With the exception of a full-scale nuclear war, that is no other SHTF scenario that will bring out more devastating domino effects than an EMP. Fires – raging unchecked because the fire department cannot respond. Disease – because trash will not be collected and human waste can no longer be flushed, we could have a plague on our hands within weeks. Treatable medical conditions will turn deadly, people with controllable chronic conditions will die due to a lack of medication, and serious medical issues, like heart attacks, will cause even more deaths as hospitals run out of generator power and because doctors will no longer have access to the high-tech tools they have come to rely upon. A pandemic is highly likely during such a long-term disaster. When both the United States and Russian government engaged in nuclear tests during the 1960s, the experiments definitely did not go as planned. The Star Fish Prime test of 1962 involved a 1.4 megaton nuclear warhead being launched over the Pacific Ocean by the United States government. The EMP pulses generated by the testing of the nuclear warhead were significantly more powerful and far reaching than the learned scientists of that era had anticipated. In Hawaii, more than 1,000 miles away from the test sight, street lights went out. The test results the scientists had hoped to review and learn from were rendered useless because the EMP event was so powerful it exceeded the ability of their equipment to measure. At the same time as the Star Fish Prime test, Russia was engaging a nearly identical nuclear experiment of their own – Test 184. Although the exacts details about the type of nuclear warhead used and other particulars related to the test are still unknown outside of our Cold War foe, diesel generators were damaged and a a shielded and underground power line 180 miles away from the test area in Kazakhstan. Some analysts and elected officials prefer to bury their heads in the sand instead of facing reality and hardening our power grid from an EMP attack.If you think the government has a ready stockpile of necessary parts tucked away in Faraday cages “just in case” think again. We do not even make the parts needed to repair our electrical grid in the United States. If the EMP attack is global, as would be the case with an Earth-directed solar flare, getting the parts we need from an overseas manufacturer will not be an option. How Can I Protect My Stuff ? During an EMP, electric fields, both non-static and static, are obstructed because electricity is directed around the mesh, producing continuous voltage on all sides but not the space in the middle. Cars and microwaves are NOT Faraday cages. As a rule of thumb, if you can listen to the radio or call your cell phone while inside any of them, they won’t work. To ensure that your electronics survive an EMP spike, they have to be housed inside a Faraday cage shield, preferably several nested cages. What is a Faraday cage? It is a low-tech cage, box, or can made of metal and lined with cardboard that houses sensitive electronic equipment to harden it against an EMP or CME. The components inside absolutely cannot touch for the cage to function properly. Michael Faraday, a scientist from England, invented a cage that is capable of shielding its contents from an EMP by rerouting the charge around the surface of the metal, in 1836. The more dense the metal, the better the contents in inside will be protected – that fact is why most preppers use metal trash cans as Faraday cages. How well a Faraday cage would work under real world conditions remains unknown because they have only been tested in laboratory simulations. But, it still remains the best shot at saving your handheld 2-way radios, batteries, spare vehicle parts, etc. There Are many opinions on whether or not these cages will work so… better safe than sorry.The mesh layer of conductive material in Faraday bags creates this protective skin. If you’re worried about EMP obliterating your comms, invest in a Surplus PRC 77 radio and an EMP-resistant vehicle. Short range comms, that utilize VHF/UHF radios, can be up and running less than an hour after an EMP strike, if protected. Long range comms will take several hours to recover. ome folks say any vehicle built prior to the early 1970s does not possess components with electronic components sensitive enough to be impacted by an EMP. Still others staunchly maintain a vehicle older than the 1950s or maybe the 1960s, will not still work after an EMP. You can turn your garage into a Faraday cage in an attempt to harden your vehicle, ATV, and other electronic devices and survival gear. If you own a metal pole barn style garage, simply line the floor with sheet metal and then place several layers of thick cardboard or plywood on top of the metal to insulate the vehicles or equipment from the impact of the EMP. To protect your electronic devices, you need to defend against the E1 phase, a surge similar to radio waves that penetrates ground-level devices such as power cords, circuit boards and antennas. The E3 phase, which travels through power and phone lines, is also worrisome. E3 energy travels over longer conductors, flooding connected equipment and causing a destructive power overload. Formulate Plan B for operating your home and business without electronics or the Internet. How will you manage transactions? Inventory stock? Accept payments? To be safe, prepare yourself now to conduct all operations manually and to do cash only transactions. What About Day-To-Day Power Surges? For day-to-day protection, invest in quality surge protectors for your electronic devices, an affordable and reliable precaution. You’ll need one that’s UL-listed with a voltage of 330 volts or less, as well as a rapid response time. Buy a computer with an Ethernet slot, or get yourself a dedicated Ethernet surge protector. For optimal protection, add an uninterruptible power supply (UPS), an effective but more expensive option. The UPS should be a double conversion supply tested to meet UL standards. While 60-90% of today’s vehicles are designed to withstand electromagnetic pulses of up to 25 kV/m, it’s always best to be prepared for the worst case scenario. If you know your way around cars, consider buying back-up modules for your vehicle’s key electronics. What Is The Government Doing To Protect Us From An EMP? Not much, is the short answer. While nuclear weapons are destructive enough to level entire cities, the resultant EMP from one would likely be its most devastating effect. In 2001, in response to concern that crucial infrastructure and even the United States military would not hold up against an EMP strike, the EMP Commission was created by Congress. President Obama disbanded the committee and the potentially society-saving information that would come out of it, not long after taking office. In 2008, the Commission delivered a report on the possible effects that an EMP strike would have on national infrastructures, recommending ways that the US could prepare, protect, and restore these if this kind of attack were ever to take place. Dr. William Forstchen’s One Second After was heralded on the floor of Congress by those elected officials and commission members who saw the writing on the wall and were urging, if not outright begging, for something to be done to protect the lives of Americans, our economy, and sanctity of this nation, from an EMP attack. Their pleas largely fell upon deaf ears. Several bills were written to address the power grid’s frailties and to develop a full and actionable plan to prepare for an EMP attack – and to survive afterwards, but they never made it out of committee. Why do perhaps the most important pieces of legislation introduced during our lifetimes keep getting buried? Disbelief such a SHTF event is really going to happen for one – but over money, mostly. Hardening the power grid and taking other necessary steps to prepare American for either a man-made or natural EMP attack would cost billions of dollars. Why don’t our public servants just stop sending our hard-earned money to countries they readily and loudly proclaim their hate for us and curtail the tens of billions of dollars sent overseas for charitable reasons and spent on studies about that place shrimp on treadmills? That is a good question for which neither I, nor those politicians who continue to ignore this looming and very real SHTF thread, have no reasonable answer. An EMP attack is a strong possibility in today’s economically-strained, weaponized world. It is a swift, deadly, and silent force that relies on the deterioration of civil society into chaos and darkness. While it may appear to be a perfectly normal scientific phenomenon, its effects on humanity will be crippling. How prepared are you for an EMP strike? An EMP consists of the E1 event, immediately followed by the E2, and then the longer term E3. A CME has only the E2 and the E3. Thus the EMP can affect electronics not connected to the grid (or any long wire), while the CME generally cannot (I don’t know that electronics in space would survive a CME). Both can wipe out things connected to the grid or other “long wire” in which a large current can be induced as well as the grid itself. I don’t believe an EMP can occur naturally. And certainly not from a “dirty bomb”. That is strictly a conventional explosive. What makes it “dirty” is using radioactive materials as “shrapnel”. It is not a “nuclear” explosion or reaction in any way, shape or form. It is merely distributing long half life radioactive material around an area in an attempt to deny access to that area. How can an EMP (or CME) cause “physical destruction of things such as structures and vehicles”? Second hand, perhaps, as a plane whose electronics were fried crashes into them, but I can’t see how non-electrical things can be affected directly. A Faraday cage does not need to be lined with cardboard. If the device is not touching the cage itself, it does not need insulation. Even if it does touch the cage, it theoretically does not need insulation, as the Faraday effect is a “surface” effect, and according to theory, essentially no energy will make it through to the inside surface. Still, putting a layer of insulation is wise, and cardboard (corrugated, not thin), rubber, plastic or carpet will work well. Actually, with a Farraday cage, the “hole size” is quite important. The higher the frequency, the shorter the “wavelength”, and if there is any “holes” in the cage, than any frequency whose wavelength is the size of the hole or smaller, will go right on through. Thus the metal trash can is a good Faraday cage IF you seal around the lid with metal tape. John handles my main criticisms of this post. I would add that telegraph offices all over the world burned down because of the E3 effect…..voltages of only tens of volts per mile of power line, but very high CURRENTS causes the fires. Note: ONLY the telegraph offices in 1859 contained electrical wiring. How many buildings contain wiring today? Nearly ALL of them! What’s in YOUR fire department? I am always amused about the American psyche dismissing the possibility of nuclear attack. We live in denial of technical reality. EMP is considered an almost certain prelude to a nuclear attack, simply because the benefits gained are great and the cost is small. EMP suppresses the target country’s ability to communicate, evaluate, and respond to a nuclear attack in progress. Your real enemies have vastly modernized their nuclear arsenals, while the US has completely neglected the nuclear deterrent. I’m quite sure Putin and the Chinese have not spent mountains of cash on brand new, ever more lethal and survivable ICBMs to watch them rust again. To say that a nuclear attack is not possible or likely is pure denial. While American strategists hold that nuclear forces are for deterrence purposes only, our enemies look at them as heavy artillery. The thought process is not the same. The worst long-term effect of an EMP over America will be that our nuclear power plants will burn. Think Fukushima X 50. Life East of the Mississippi may well be impossible. If Fukushima raised the Northern Hemisphere radiation counts-per-minute by just 5, a Carrington CME may cause 400+ plants to burn, or raise the CPM to over 2,000 – a long-term lethal level. Perhaps Nevil Schute’s “On the Beach” wasn’t hyperbole. Yellowstone supervolcano, earthquakes, plague, diseases, wildfires, hurricanes, EMPs, riots, raiders, gangs, invaders, tornados, blizzards, Aliens, economic inflation, stock market crash, list goes on and on. . Being ready, prepared to some degree is beneficial. 3 days of food stocked and water on hand is too little i would recommend at minimum a week. Having Important documents gathered for immediate evacuation is also a good idea. this was a really useful read thank you very much!